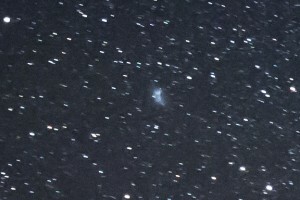 Cropped view of satellite and burn stage. Final Boost Stage on Youtube. Be sure to read description and click HD or UHD and watch full screen. 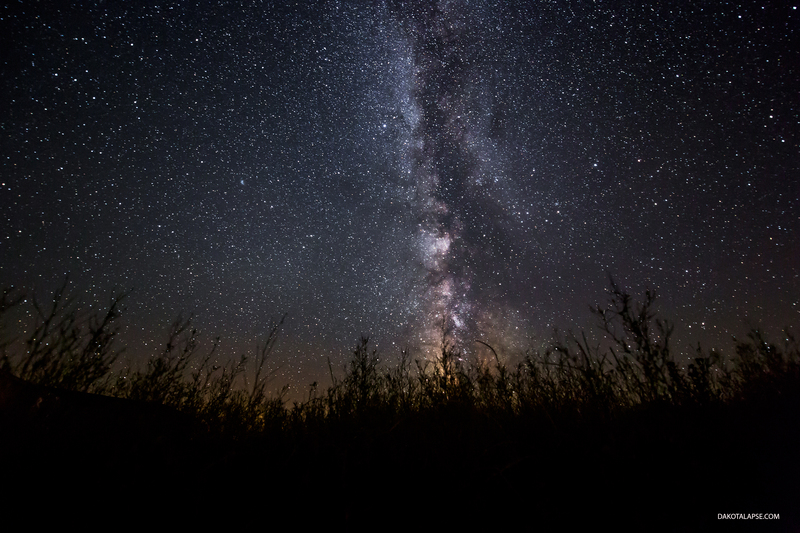 On July 28th, 2014, I was set up to shoot the Milky Way near Kennebec, South Dakota. I was shooting a Canon 5D Mark III with a Nikon 14-24 lens on an eMotimo TB3 mounted on a Dynamic Perception Stage Zero Dolly. I had looked through some of the stills but didn’t notice anything unusual. In December 2014 I was editing timelapse that had been shot during the year. When I got to the July 28th sequence I noticed something different on it. At first I thought it was another meteor with persistent train, but I had missed the meteor in between exposures. 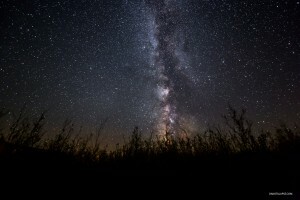 I had already caught several meteor with persistent trains on timelapse last year, so I was watching for them. Then I looked closer and noticed the flash was dimming and getting brighter. 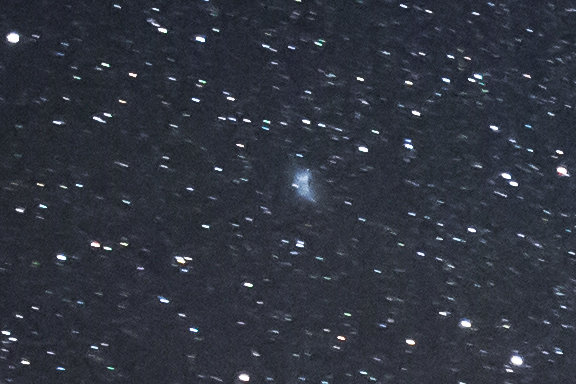 Also, when I zoomed in I could see a satellite or object right before the first flash. I searched and found the the GSSAP and ANGELS satellites had launched on July 28th at 7:28 EDT. I emailed Mark “Indy” Kochte who works on the Mercury MESSENGER program. He showed it to his colleagues Nick Pinkine and James Hudson (Solar Probe Pluse Mission Ops Manager and MESSENGER Mission Analyst) and they agreed that it was the AFRL ANGELS satellite burning it’s final boost stage. The first flash you see on the timelapse happened at 1:09am July 29th (camera time) so that also seems to match up with the timing for the final burn the article mentions. You will also see many other satellites moving through the cropped timelapse, there are also some geostationary ones.